In patients with sleep apnea, nasal septum deviation may increase the severity of the disease; complaints may also increase. 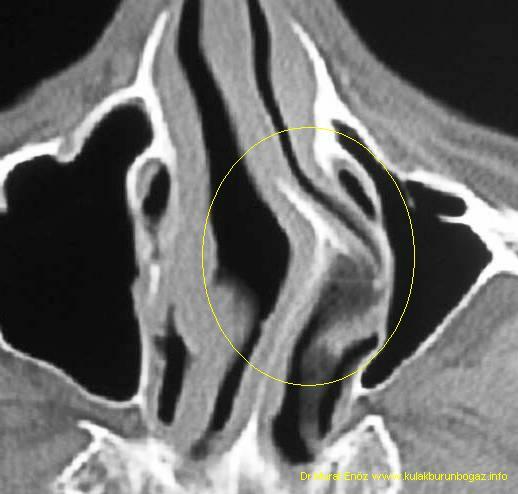 Nasal obstruction may occur due to nasal septum deviation. In advanced deviations, the mouth opens to sleep during sleep and the throat opening (expanding the airway during breathing) minimizes muscle activity (such as swallowing with mouth open). In addition, in patients using CPAP (Continuous positive airway pressure), nasal masks are more difficult to tolerate in patients with nasal obstruction. Nasal obstruction negatively affects the treatment of sleep apnea with many different mechanisms. In these patients, nose surgery is usually recommended with weight loss. When nasal airway resistance increases due to nasal septum deviation, a decrease in blood oxygen level is inevitable. In patients with obstructive sleep apnea syndrome, it is intended to treat the reduction of airway resistance, so that nasal septoplasty operations can be combined with intraoral operations for snoring and sleep apnea.